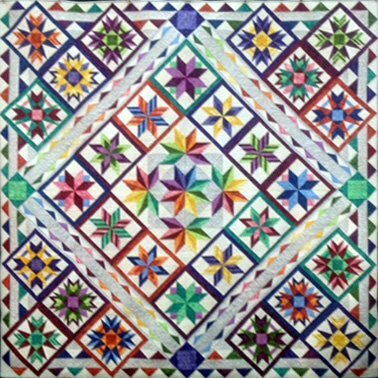 This is a delightful paper pieced block of the month. Most months you will receive what is equivalent to 4 blocks! Your monthly kit comes complete with Pattern, Foundation sheets and Fabrics. All this for only $36.95 per month! 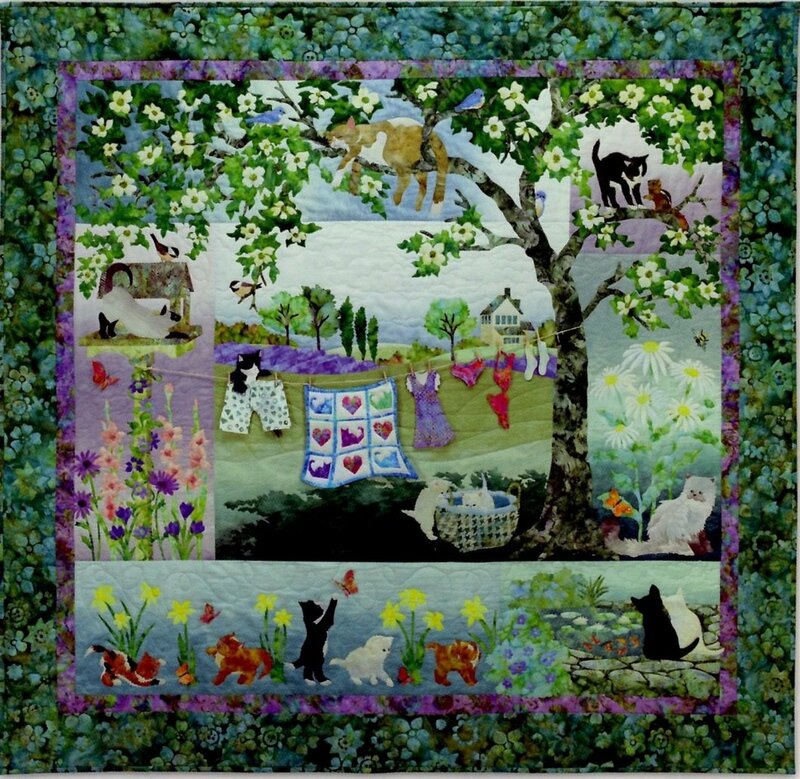 This quilt celebrates cats and kittens in a playful way! In this spring like setting, you will find inquisitive kittens playing with butterflies and cats lazing in a tree. Since it is laundry day, you will even find them playing in the laundry. It is just too cute! Very limited supplies...Order yours today! Your monthly kit comes complete with Pattern and Fabrics. Border Kit is included with Last Month.